How did God put the Bible together? In autumn, near the end of October, you are likely to see lots of “spider webs” decorating front doors and Halloween scenes. The reason for this is because lots of people think spiders and their webs are a little bit creepy. In fact, some people are terrified of spiders. This fear of spiders is called arachnophobia (uh-RACK-nuh-foh-bee-uh). 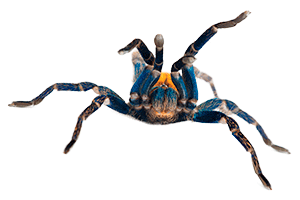 The long name comes from the fact that spiders are in a special group of insects known as arachnids (uh-RACK-nids). Even though some people are scared of spiders, these little creatures are amazing, and are very helpful to humans in many ways. Spiders have eight legs. Most of them have eight eyes as well, although some have fewer eyes. Every spider in the world has fangs and is venomous. That means that spiders produce venom that they inject into their prey. Thankfully, most spiders have such weak venom that they cannot hurt humans. Their venom only works on the small insects that the spiders catch. 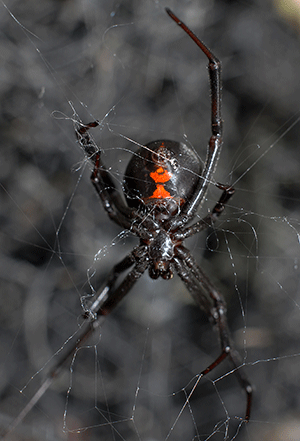 Some spiders, however, like the Brown Recluse and the Black Widow, have venom that can harm humans. It is important to try to avoid these kinds of spiders. Spiders come in many different shapes and sizes. There are thousands of species of spiders. And they live on every continent except Antarctica. The largest spider in the world is known as the Goliath Birdeater Tarantula. You will read about it later in this issue of Discovery. 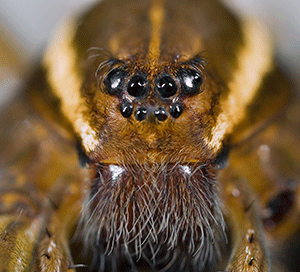 Some of the smallest spiders in the world are no bigger than the head of pin. God designed spiders with many amazing skills and abilities. One of the most amazing things about spiders is their ability to spin silk and make intricate webs. 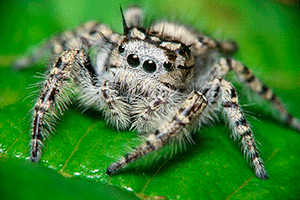 Eric Lyons has written an interesting article about spider silk for us this month. Some spiders even use their silk to “fly.” They spin special, thin lines of silk into the air. This thin silk is called gossamer silk. It forms a small “pouch” that catches the wind and the spider floats away. This process is called “ballooning.” Most of the time, young spiders, called spiderlings, balloon. They usually only travel a few yards. But if the wind is very strong, ballooning spiders can travel several miles. Spiders have been found far out at sea in the currents of the wind. Scientists believe this is how new species of spiders “invade” islands. People who believe in evolution try to explain ballooning by saying spiders formed over millions of years by natural processes. But there is no natural process that could “teach” a spider how to fly. This ability did not evolve. God created everything that “creeps on the Earth” (Genesis 1:25), including spiders. He gave them the ability to “fly,” using their silk as parachutes. Spiders are also helpful to humans because they eat insects that can damage crops or infest houses. Since spiders are such great hunters and trappers, they kill flies, aphids, ants, beetles, and all kinds of insects. In fact, scientists are trying to study spider venom to use in making medicines or natural insecticides. Some spiders have a very interesting way to avoid predators and to catch prey—they mimic ants. God has given them the ability to act like ants. Since spiders do not have antennae like ants, the ant-mimicking spiders put two of their legs up on their heads to cover their extra sets of eyes (since they have eight) and to look like antennae. These ant-mimickers look so much like ants that the ants are fooled and are often eaten by the spiders. In other cases, the spiders make themselves look like ants so that they are not eaten by predators that like to eat spiders but don’t like to eat ants. How could evolution ever explain a spider’s ability to copy ant behavior? It cannot. Only God could have given spiders the ability to mimic ants. Spiders are amazing creatures. They are wonderful evidence that God is a brilliant Designer.